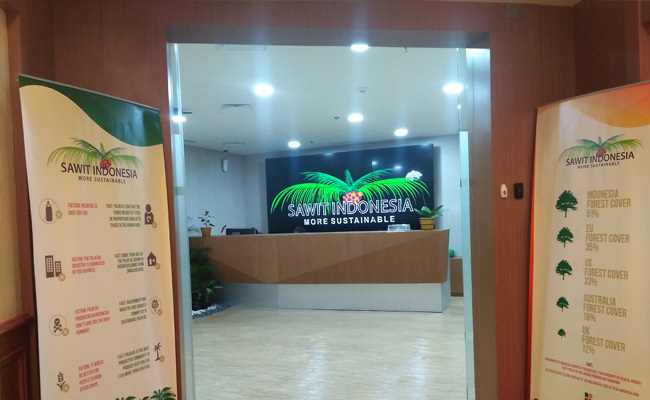 InfoSAWIT, JAKARTA – Director of Palm oil Plantation Fund Management Agency, (PFMA), Dono Boestami, said, biodiesel incentive is the part of the government to the people for the source of fund is not from the National Budget, but from export citation. He said, by the incentive pattern, the governent did not spend National Budget reaching up to Rp 21 billion from 2015-2017 to implement the palm oil biodiesel mandatory. Through the mechanism, the government could save the exchange reaching Rp 14,83 billion per year for not running the diesel import reaching 3 million kiloliter. “The safe could be used to other government’s programs, including to conquer the poverty, increase the education, and health,” he said in the official statement InfoSAWIT, Tuesday, (6/3/2018) in Jakarta. Besides saving the exchange, the scheme is believed to reduce CO2 and becomes the part of Paris COP 21 commitment to fulfill the national target in decreasing emission 29% (unconditional) and 41% (within the international support) in 2030. “Without the palm oil biodiesel implementation, the government would be difficult to fulfill the commitment,” he said.